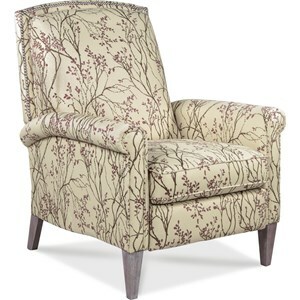 This chair doesn't look like a recliner, but it is just as comfy and relaxing as a standard over-stuffed reclining chair. Just one of many style options available, you can show off your signature flair for design with stylized, exposed wood legs and refined, fashion-forward silhouettes. Choose the fabric or leather that best fits your fashion sense and lifestyle from our hundreds of custom options. Microfibers and soft, yet tough, protected leathers are ideal for active families with small children or pets. Leathers vary in their hand feel and coloration, but they are all genuine cowhide leathers individually processed for that quintessential beauty that lasts and lasts. 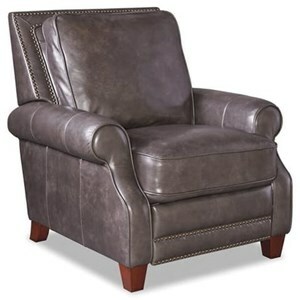 Sweet, demur and perfect for the lady of the home, the Delilah High Leg Recliner features rolled arms accented with nailhead trim, dainty, turned legs and a tailored back and seat cushion. Welt details encase this three way reclining chair. 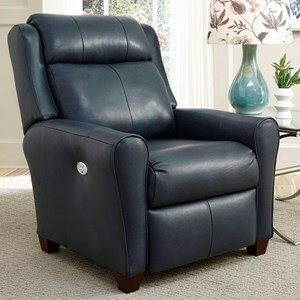 Customizable in a variety of fabric and leather options, this recliner will make a wonderful addition to your home. The High Leg Recliners Delilah High Leg Recliner by Klaussner at Godby Home Furnishings in the Noblesville, Carmel, Avon, Indianapolis, Indiana area. Product availability may vary. Contact us for the most current availability on this product. 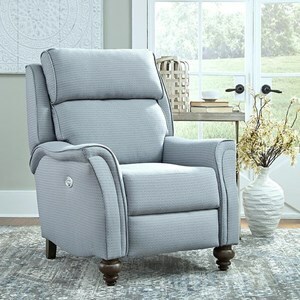 The Klaussner High Leg Recliners Collection includes a variety of recliner options for your home. 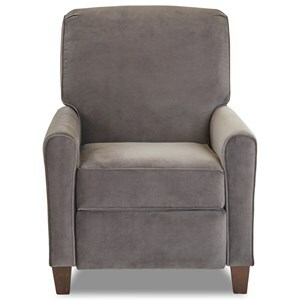 Pair one of these recliners with your comfortable living room or basement furniture setting for supreme comfort seating. 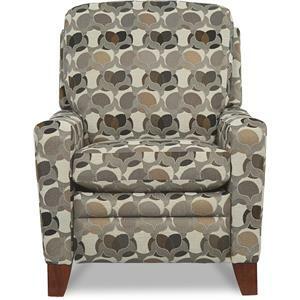 These recliners are offered in a variety of fabric upholstery and leather options, so no matter which style you like, it can be matched to the decor of your home. 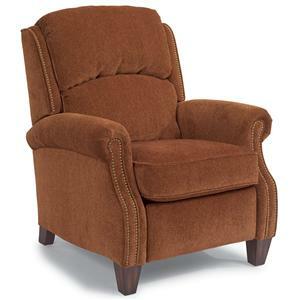 The High Leg Recliners collection is a great option if you are looking for Transitional furniture in the Noblesville, Carmel, Avon, Indianapolis, Indiana area. 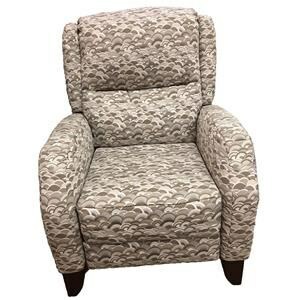 Browse other items in the High Leg Recliners collection from Godby Home Furnishings in the Noblesville, Carmel, Avon, Indianapolis, Indiana area.